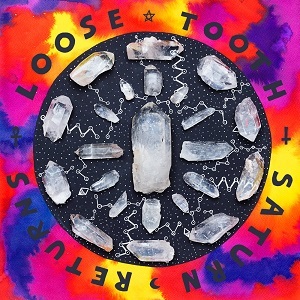 Loose Tooth are a trio out of Melbourne who carry a sound that is likable from the first few bars of any of their songs. Which makes you feel pretty happy to learn that their debut EP “Saturn Returns” provides you with 7 tracks of listening pleasure. Each track is driven with a youthful raw energy but with a mature rounded body too, which is why I think I like them so much. Its fuzz-pop – but its not overly polished, thankfully. Musically they are tight and their vocals to me are reminiscent of the early girl-group harmony, but carry an edge of those girls being cut loose to be the leaders of the pack and not just told to sing about them from a safe distance. Also at times they can sound like Blondie meets The Velvet Underground. Each song has it’s own story and they all go so well together in this EP. They have chosen incredibly well to team up with Milk! Records to release their EP as they sit with great company of others on the label like Courtney Barnett and Jen Cloher. Recorded and mixed by a guitar genius himself Paul Maybury (Rocket Science/The Pink Tiles) so not only does he clearly get their sound but also his skill has balanced their heavy reverb sound perfectly with killer harmony and driving drums. Coupled with the mastering completed by Mikey Young, this talented trio is truly off to a brilliant beginning. They took to the stage on the weekend at Boogie and looked like they were having a great time. Confident but certainly not cocky. Right at home actually, which is what you want to see. They have kindly released the EP on a limited edition 12-inch vinyl. And lucky PBS FM members have the chance to pick themselves up their very own copy, as it’s a feature all this week. Hooray! They are also playing the Gaso on 22nd April to launch the EP, so I strongly recommend you catch them live if you can. If there’s one thing that music fans like to argue about, it’s genres, and few labels have caused as much debate as post-rock. While it’s undeniably a broad term, with origins near impossible to pinpoint, Explosions In The Sky have typified the vanilla version of it over the last fifteen years. Need to explain the style? Put on 2003’s The Earth Is Not a Cold Dead Place. Done. They have swayed from the loose template of long build-ups and shimmering crescendos from time to time throughout their now-seven album discography but never like they have here. Gone are ten minute track lengths, oft-predictable climaxes and twinkly guitars; in are more electronic touches, a larger focus on pure atmosphere and a wider emotional palette. The Wilderness is an apt title, they have wandered into unfamiliar territory. ‘Disintegration Anxiety’, one of the first singles out, is the perfect example, opening with what sounds like an underwater circus before upping the pace with drums reminiscent more of electronic beats than the usual rock-driven peaks, and all over in four minutes. ‘Logic Of a Dream’ is keyboard-driven until moving into some GY!BE-esque dark trudging, ‘Colors in Space’ feels more traditional but turns things on its head when it evolves into drone right when you’re expecting the usual surge of bliss, and the ambient ‘Losing the Light’ is stunning in its simplicity. 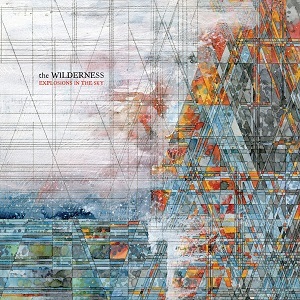 Despite all of the deviations, The Wilderness still sounds like an Explosions record and returns to roots enough times that it’s not a jarring release in the slightest. It’s simply a change of focus away from the guitars and drums being constantly front and centre. It’s a beautiful, patient album. What will be truly interesting, however, is whether this is the start of a new phase or just a temporary detour.